17 years ago today, I watched in horror, as we all did, as the towers came down. I have loved ones in NYC and worried for their safety. I mourned for all the lives lost. I cheered the courage of those who went in to help. I pondered what it would mean for our country--and the world. All around me I saw people rise to be their best. I also saw people begin to cling to whatever scrap of control they could--because it was so scary feeling helpless. People who are afraid do not behave well. All around me, I see people who still carry that fear--and desperately try to keep things the way it used to be. When they felt safe. But the world changes. Life cannot be controlled. We either go forward with hope and a determination to create the best possible world or we slide backwards into darkness. I wish for all of us the courage to choose hope. To choose kindness and love and building each other up, not tearing each other down. That would be the real victory over what happened 17 years ago. We all have books of the heart. Too Oft Betrothed is one of mine. This book is dedicated to my son and to every child and adult who the world sees as handicapped or disabled or mentally challenged—or whatever the latest buzz words might be. I hope it encourages my readers to realize that people like my son and like Matthew are capable of much more than the world often realizes. Our lives are richer when we look with open eyes and get to know them and discover who they really are. A brother with a disability, a fiancé lost at sea, a truly nasty villainess and an American in London in 1812 while feelings still run high between Britain and the former colonies . . . what could possibly go wrong? Judith Bosworth, of Philadelphia, loved Mr. Gilbert but he was captured by the British and they say he was lost at sea. She arrives in London, with her beloved mentally challenged brother, Matthew, in tow, determined to find out what really happened to Mr. Gilbert and whether a doctor there can help Matthew. Sir Richard Warfield thought it would be a good idea for his mother to invite Miss Bosworth to visit. Now he must shepherd both Judith and her brother safely through the shoals of London society. His task is even more complicated when a former love tries to destroy not only him but any possible object of his affection. Together they must find a way to outwit those who would harm them—or Judith's beloved brother—and the answers she seeks. Love wasn't supposed to be part of the equation. Note: The primary romance has been totally rewritten in this updated version of the book which was previously published as a Signet Traditional Regency with the original title of Twice Betrothed. 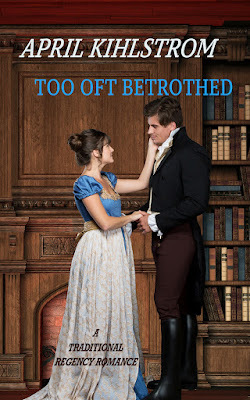 Note: Some long time readers of my books may recognize parts of Too Oft Betrothed as being very much like another book of mine, Twice Betrothed, written and published years ago as a Signet Traditional Regency Romance. 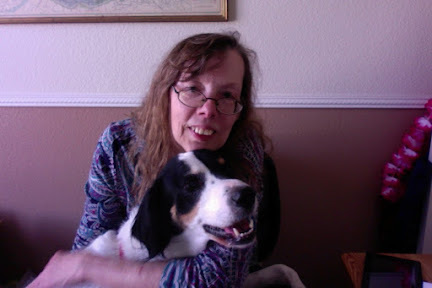 I have never been happy with some of the choices I made, in a misguided effort to write what I thought would please my editor so she would agree to publish the book. When I got the rights back, I was determined never again to let it see the light of day unless I completely rewrote the primary romance. I'm delighted to have accomplished this and can now release the revised book with a new title: Too Oft Betrothed.